Your gifts to this fund support the Art Conservation program in running its day-to-day operations. 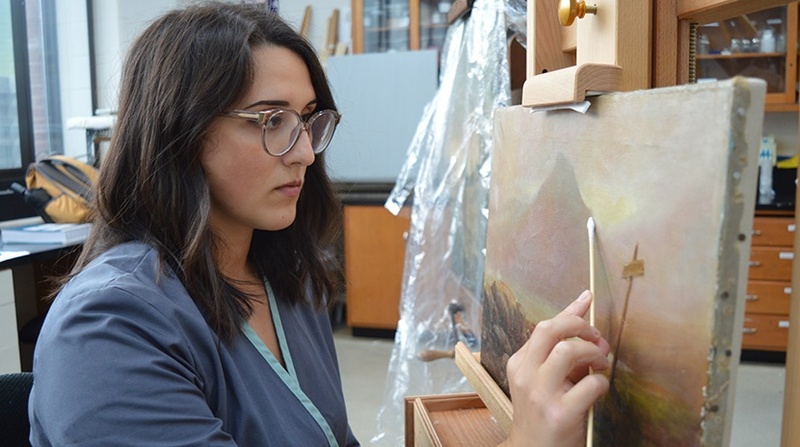 Queen's offers the only Master's degree program in art conservation in Canada. Art conservation involves the examination, interpretation, analysis, and conservation of cultural, historic, and artistic objects. Professional conservators rely on their knowledge of both the humanities and sciences in order to understand the creation and production of material culture in past and present contexts to ensure its preservation for future generations. Our students specialize in the conservation of paintings, artifacts, or paper objects.